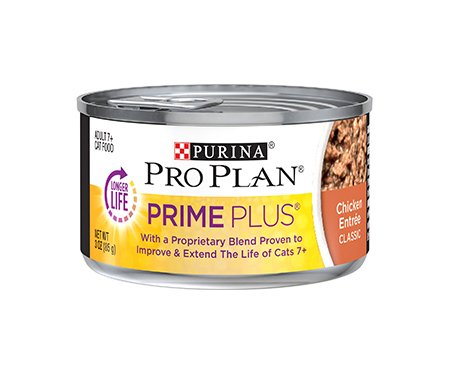 Give your senior cat nutrition that performs with Purina Pro Plan Prime Plus 7+ Classic Chicken Grain-Free Entree Canned Cat Food. This recipe makes real chicken its first ingredient, starting the meal off with pure, savory protein. It's rounded out with high-quality, specifically-chosen ingredients that pack complete nutrition into every bite, catered to the needs of your senior cat. 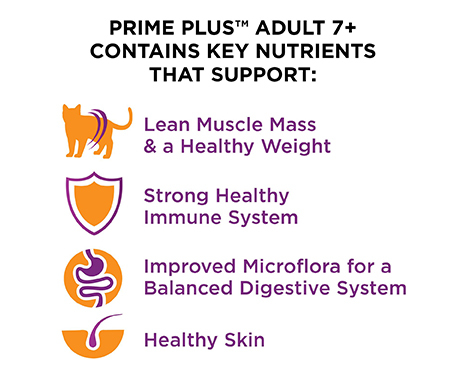 Plus, it contains a proprietary nutrient blend scientifically tested to maintain and improve the health of cats 7 years of age or older—so you can feel confident that you're giving your beloved cat a boost. Your feline can have a grain-free recipe with the great taste and texture she loves at mealtime, while you feel confident that you're meeting the needs of your favorite senior cat. 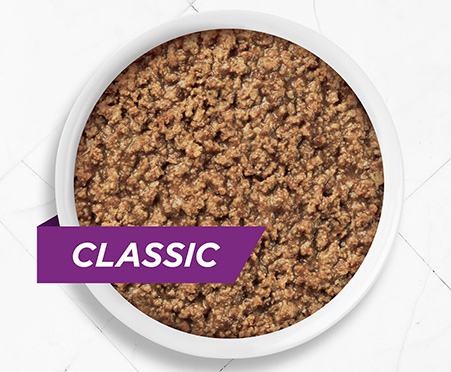 Made with real chicken as the first ingredient, packing your cat's meal with pure, high-quality protein to promote lean muscle mass and a healthy weight. Features a proprietary nutrient blend scientifically tested to maintain and improve the health of cats who are 7+. A healthful, grain-free recipe you can be proud to serve your feline best friend. Helps support a strong, healthy immune system in your senior cat. 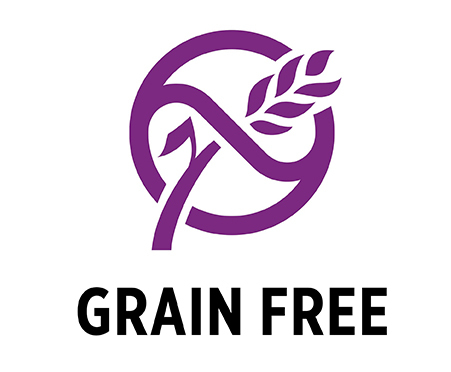 Contains key nutrients to support improved microflora for a balanced digestive system.